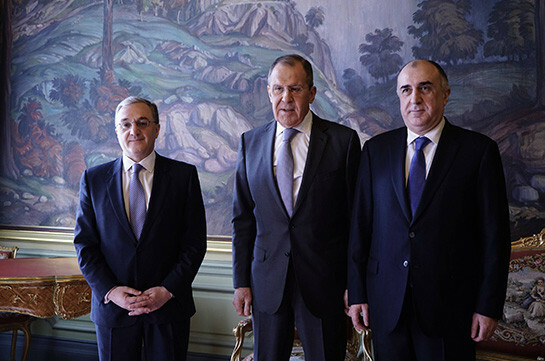 Armenian, Azerbaijani and Russian foreign ministers met on April 15 in Moscow at the initiative of the Russian side. They were joined later by the OSCE Minsk Group co-chairs and personal representative of the OSCE Chairman-in-Office Andrzej Kasprzyk. After the meeting the foreign ministers of the three countries and OSCE Minsk Group co-chairs released statement. The statement says that the participants of the meeting as instructed by the president of Azerbaijan Ilham Aliyev and Armenia’s PM Nikol Pashinyan after their meeting in Vienna on March 29 met and discussed the situation on the line of contact as well as prospects for establishing partnership in the humanitarian sector. They have exchanged views over a number of basic issues. 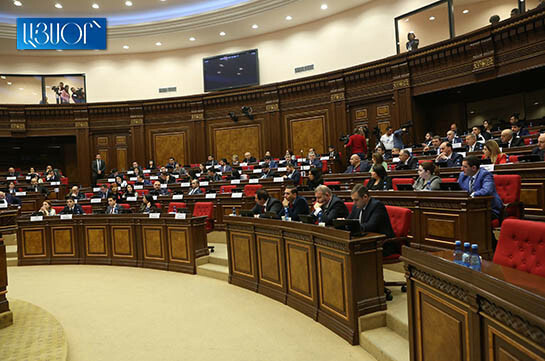 “The foreign ministers of Armenia and Azerbaijan have reiterated the intention of the parties to continue the efforts toward political-diplomatic settlement of the Karabakh conflict. The interest toward further stabilization of the situation, during the period of implementation of agricultural works in particular has been stressed. They have also agreed to undertake steps to allow visits of relatives of prisoners in the countries. The ministers expressed readiness to undertake practical steps toward establishing contacts between the peoples, including via reciprocal visits of mass media representatives. Foreign Minister of Russia and OSCE Minsk Group co-chairs reiterated their commitment to the mediatory mission addressed toward establishment of stable peace in the region. The participants of the meeting agreed to continue contacts in future as well,” the statement says.